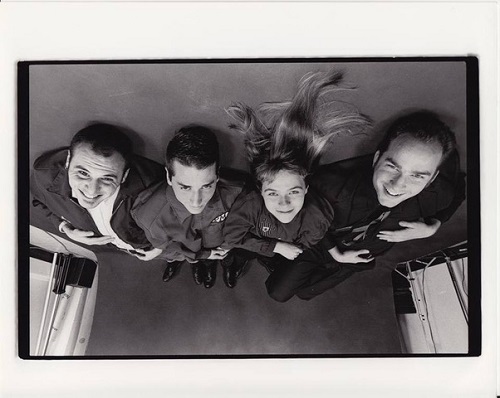 J. Robbins (Government Issue) formed Jawbox as a trio with Kim Coletta and Adam Wade. Their first EP (self-titled) from 1990 formed the skeleton of their first LP, Grippe (Dischord Records) recorded the same year. Bill Barbot came on as 2nd guitarist, and their sophomore LP, Novelty, followed shortly thereafter. The twin guitar attack of Robbins and Barbot suggested Television in its attack and communication, and when Wade left to join Shudder To Think, the final piece of the puzzle snapped into place with the addition of Zach Barocas on drums, providing a post-punk Elvin Jones sense that perfectly complimented Coletta’s driving bass. At the time, it was still an assault on the punk orthodoxy to sign to a major label, but what’s fascinating about Jawbox’s transition to Atlantic Records is that they took advantage of the resources at hand to make their very best work. 1994’s For Your Own Special Sweetheart positively bristles, a crystalline realization of the intricacies of their sound amplified. As the Indie rock revolution of the 90s slowly strangled itself, Atlantic farmed their alternative acts out to TAG Recordings, and the band’s final effort, (as self-titled as their first), caught them at their peak, and while their new bosses couldn’t see singles, the LP actually outperformed expectations, continuing their inroads to college radio play, but that was not enough to keep the band from being dropped. They fulfilled their touring obligations, then put the band to bed in 1997. Impossible Figure gets us going full throttle, with melodic hooks managing to peek out from the pummeling. Consolation Prize dials down, (at least in tempo), and fades right when the band is taking full flight. With Barbot joining the fold, Dreamless makes the case for not just the extra guitar, but his counterpoint vocals that become a band signature. Static is a highlight of Novelty, but an even more definitive version comes from a live Peel Session two years later that would not just demonstrate their live power, but highlight Coletta’s importance to the band, which was sometimes buried in the mix on the earlier records. With Ted Nicely behind the boards, and Zach Barocas fully integrated, For Your Own Special Sweetheart is their magic moment where everything clicked. Savory, with its MTV exposure, proved the LP’s calling card, but it’s the lacerating Reel that tops the lot. While the buzzsaw intensity is the obvious invitation, it’s the dynamic shifts that keep you coming back. And while we won’t assign a reading list, a working familiarity with the works of J.G. Ballard certainly won’t hurt, in as much as this LP will ever fully make sense. It’s impressionistic, but not in that gauzy watercolor way, more like glimpsing the shattered shards left in a mirror frame. For their self-titled swan song from ’96, John Agnello mans the boards and helps the band uncover every nook and cranny of its sound. While not the pell mell charge of For Your Own Special Sweetheart, it’s their most fully realized work, with Mirrorful as head on as before, but dialing it back, rather than mellowing out, allows them to uncover a rough beauty, Iodine. It’s a testament to the strength of the last two LPs, that they could leave behind a track like 68 as a B-side. 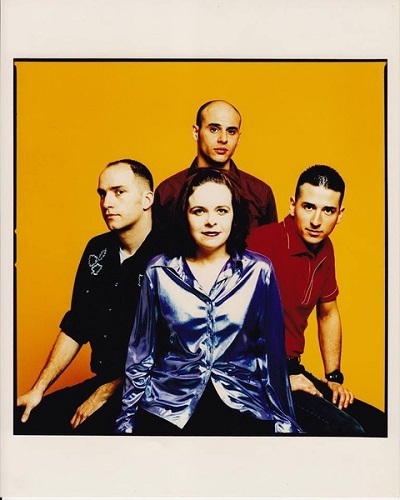 To finish off our mix, Jawbox has always evidenced sterling taste in covers; they brought some oomph to Joy Division’s Something Must Break on their first album, and cast the net far and wide to make room for interpreting the Buzzcocks, R.E.M., Cole Porter, and the Minutemen, among others. Like Hüsker Dü sending the Byrds’ Eight Miles High into orbit, Jawbox set their sights on Tori Amos’ Cornflake Girl, to staggering effect. True to nature, they buried it as a bonus cut, separated by a few minutes of silence after closer, Absenter, on their self-titled 1996 LP. DeSoto Records came to life as the vehicle for releasing Edsel’s first single and was kept alive and nourished by Jawbox bassist Kim Coletta, who, along with Bill Barbot, grew it into a notable DC imprint, releasing not only band-affiliated recordings, but branching out to locals Dismemberment Plan, and more far-flung bands like Shiner. In 1998, the label put a capstone on Jawbox’s discography with the release of My Scrapbook Of Fatal Accidents, a perfect potted history of the group. DeSoto bought back the rights to the band’s Atlantic/TAG recordings and dropped remasters that, along with the compilation, help burnish the group’s legacy. In late 2009, marking the 15th anniversary of For Your Own Special Sweetheart and the release of the remastered version, the band regrouped for a one-time only reunion appearance on the Tonight Show with Jimmy Fallon, performing a set for the audience that included FF=66 and 68, Savory and Desert Sea, while they tore through Savory in the actual show airing. NBC Universal has withdrawn the footage from the Tonight Show archives and YouTube, but interested parties might take note of a band Facebook post discreetly entitled “NYC Show”. While there was much clamoring for a full-scale reunion, realistically it wasn’t going to happen; the reunion stood on its own as a singular blessing and a reaffirmation of their savage beauty. It would be easy to end here, with a short montage of whatever became of the members, with Robbins going on to projects such as Burning Airlines, Channels, Office of Future Plans, and solo work, as well as producing/engineering from his home base, Magpie Studios in Baltimore, for a multitude of bands, including recently, Two Inch Astronaut and The Pauses. In addition to involvement with Coletta’s DeSoto venture, Barbot was in Burning Airlines with Robbins and currently in Foxhall Stacks, and went on to start digital creative agency Threespot. In mid-September, Barbot is taking part in The Punk Rock Type, a conversation with Roman Mars about punk rock, DC, and design, along with a performance by DC’s Beauty Pill at the Howard Theatre. Barocas founded The Cultural Society and drummed in Brooklyn’s Bells≥. In January 2006, J. Robbins and his wife Janet Morgan welcomed a baby boy, Callum, to the world. It was not long in the developmental cycle that he was diagnosed with Type 1 SMA (Spinal Muscular Atrophy), a nightmare trip for any parents, let alone under/un-insured musicians. (At this juncture, most of our readership should take a small moment to bless your NHS). Fundraisers began, including the compilations For Callum (which quickly mushroomed into a double LP), and DeSoto’s indie spin on kids music, Play, as well as an intriguing take by cellist Gordon Withers, Jawbox On Cello, that sheds a different kind of light on the band’s legacy. Raising awareness was the mission, while back at home, the stone cold facts of the matter, (most Type 1 SMA babies die before their 2nd birthday), did not point towards a positive long-term prognosis. Facing it down with equal measures of grace and grit, Janet & J. persevered, doing what they had to do, and as of this last January, Callum Robbins celebrated his 12th birthday. Also, with FDA approval of Spinraza, technology has gifted a drug that will hopefully deter further deterioration in Callum’s case and, in the cases of a number of infants, totally cure the disease. For more information, the Spinal Muscular Atrophy Association and the Gwendolyn Strong Foundation are great places to start. In addition to a long standing Facebook account, the band’s discography is available through Bandcamp, and in March of 2018 they added an Instagram/Twitter that’s serving as a veritable treasure trove, all accessible through the Jawbox website. Wayne Jessup (@waj1) can be found at The Owl Mag and Burned All My Notebooks. He has written on Mission of Burma, Fugazi and Spoon for this site.